Andrew Binkley. Stone Cloud. Inflatable plastic. Part of the Honolulu Biennial, 2017, find this piece near the entrance to the Buddha statue at Foster Gardens through May 8, 2017. A chat with Andrew Binkley about his new work, Stone Cloud, premiering in the 2017 Honolulu Biennial. Andrew Binkley, pictured with his Stone Cloud. 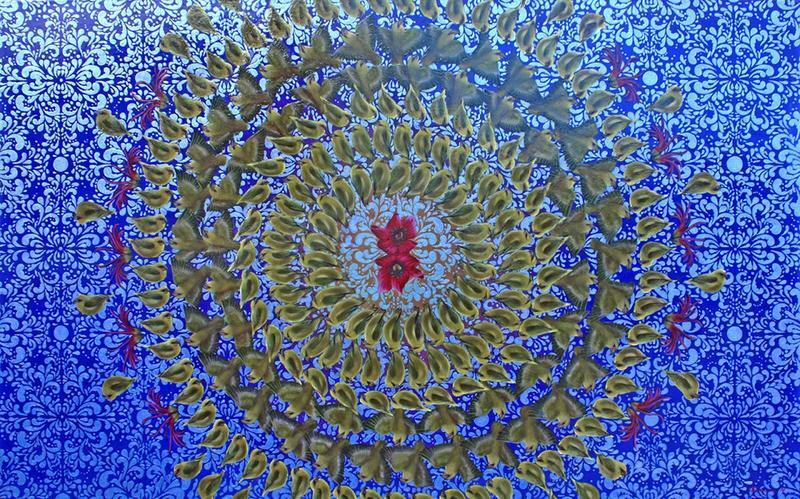 Binkley's work explores the processes of awakening and letting go. 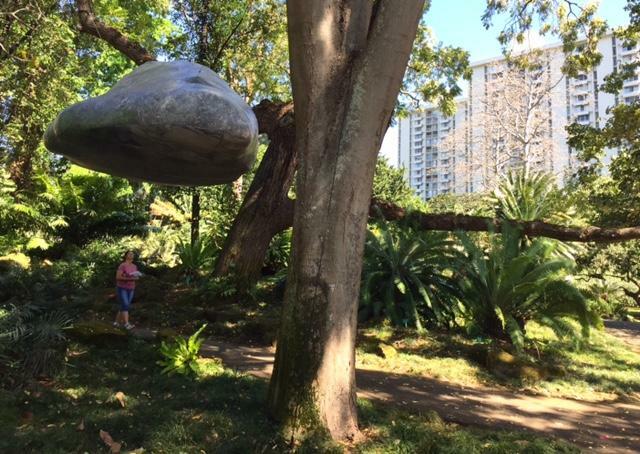 The Honolulu Biennial presents Andrew Binkley’s “Stone Cloud,” along with four other installations now at Foster Garden. 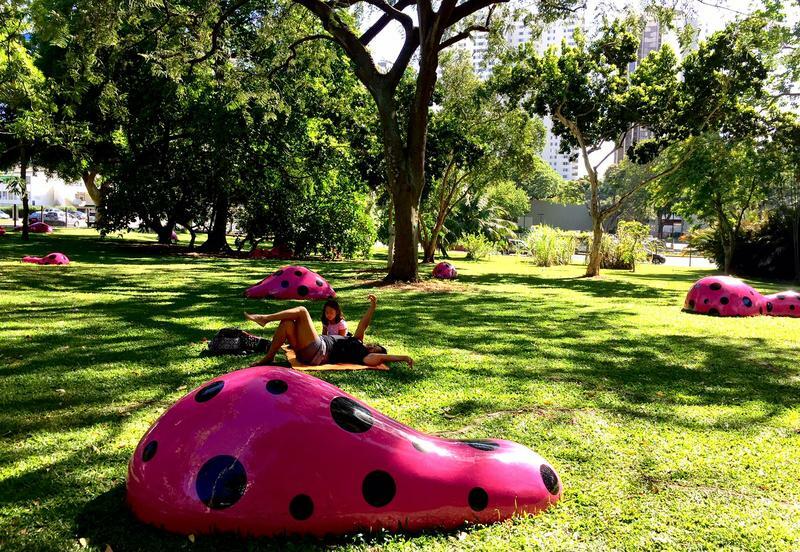 The Biennial continues at nine locations in Honolulu through May 8, 2017. 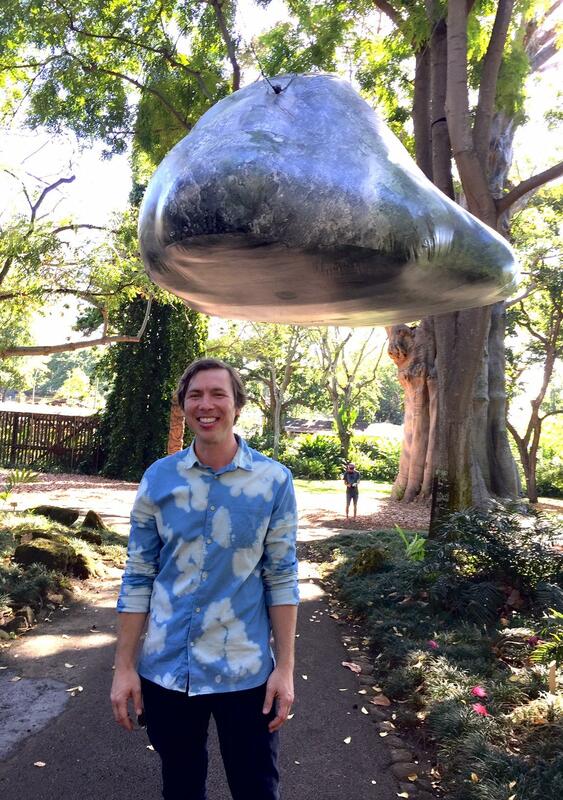 It was pure serendipity to come across Andrew Binkley, in a cloud shirt, there under his super fun Stone Cloud. Binkley, an ordained Buddhist monk, has been fascinated with the stages towards letting go. A felicitous start here, next to the Buddha. One hit me on the nose yesterday. 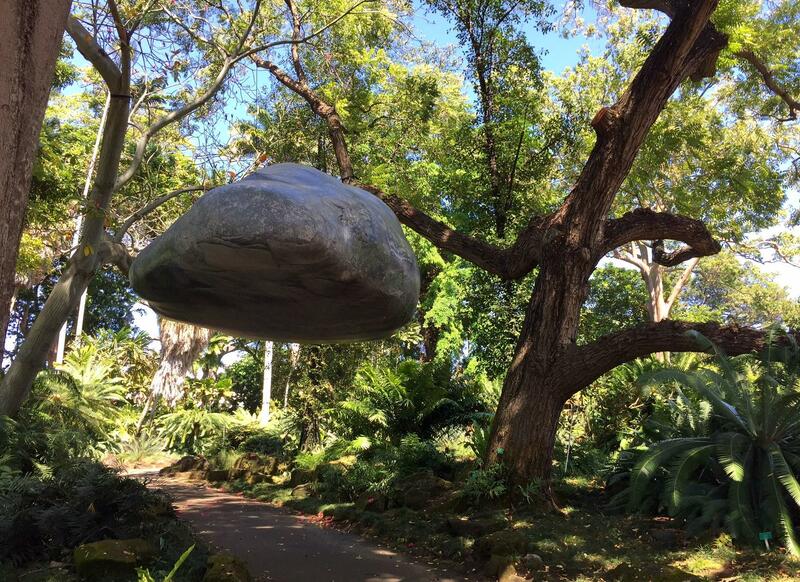 The Stone Cloud at Foster Gardens, April, 2017. Lotta stuff you really don’t want to put words to. 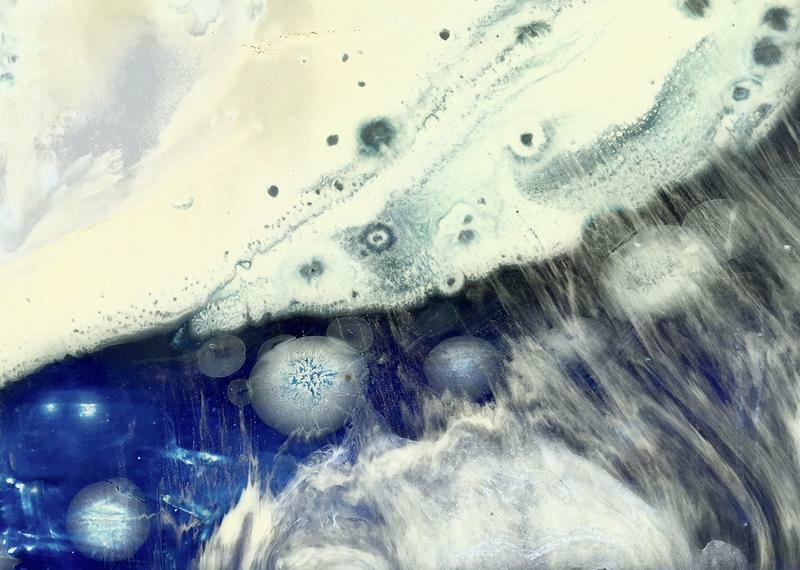 It’s nice to have an image.